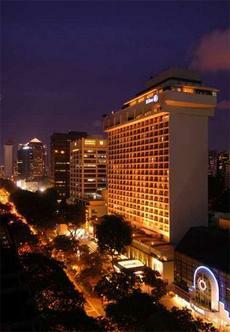 Relax by the rooftop pool and savor views of bustling Orchard Road at the Hilton Singapore hotel. Feast on fresh oysters at the award-winning Harbour Grill and Oyster Bar, work out in the fitness center and indulge in a massage. The hotel has an Executive Lounge and wireless internet access throughout. Go offsite for a night safari or a shopping spree in the nearby malls. Spoil yourself with Sunday champagne brunch at Checkers Brasserie in the Hilton Singapore hotel, or savor caviar at the Harbour Grill and Oyster Bar. From Deluxe Rooms up, all Hilton Singapore hotel rooms have wireless internet access and city views. Executive Rooms offer Executive Lounge access. Just 20 minutes from Changi Airport, the Hilton Singapore hotel has 11 meeting rooms for 18-550 person and 2 business centers.